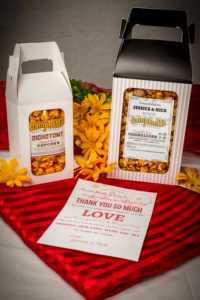 Our gourmet Popcorn Favor Bags are perfect for hotel guests, weddings or events! 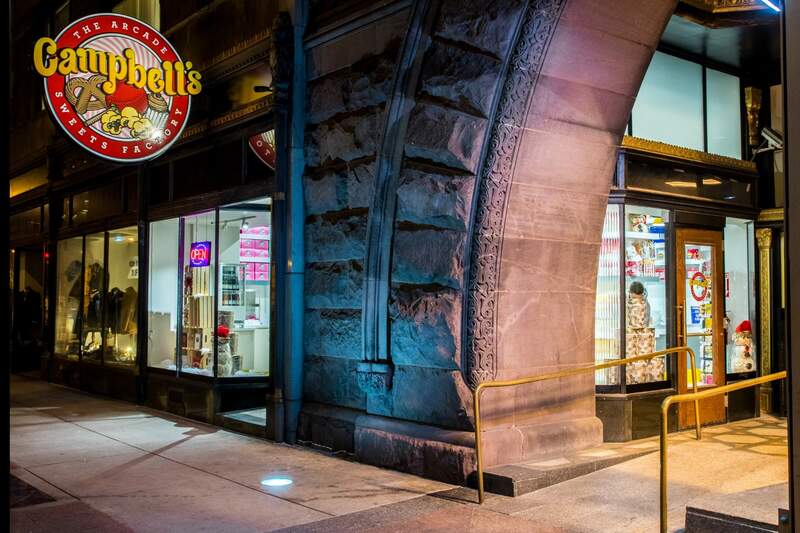 Our individual, 4-cup small bags of popcorn are available by special order in any of our regular menu flavors. 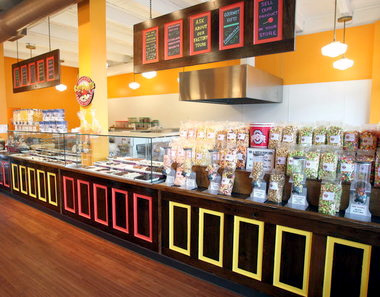 (Our full flavor list is available here in our Gourmet Popcorn Flavors page.) 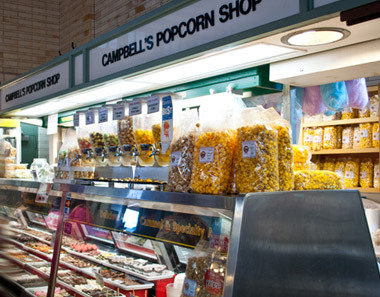 These Popcorn Favor Bags are a cost-effective, easy way to feature Campbell’s gourmet, award winning popcorn at your event, and in the heat-sealed bags, you have the flexibility to plan ahead with your event without worrying about the product not-being fresh for each and every guest. Bags are easy to customize! We have Gable Boxes available (pictured) to display your bags and customers love our clear cello bags, as it gives them the flexibility to decorate with ribbons, boxes, and much more! 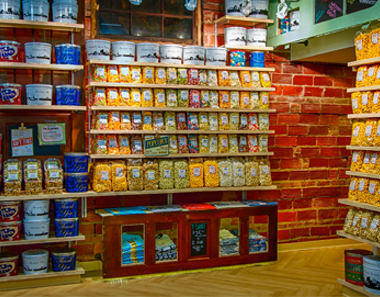 When your blank-canvas is delicious, gourmet popcorn, the possibilities are endless! These Popcorn Favor Bags are perfect for birthday parties, weddings, bridal showers, baby showers, corporate events, or just about any occasion you can think of! Ask us for more details or information on how to order below! Want more information on how to order Popcorn Favor Bags? Let us know!